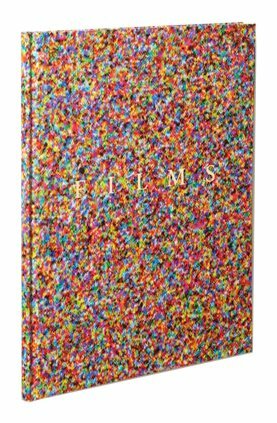 Films is Paul Graham's eulogy to the physical material of photography: Film. The 20th century's greatest medium has undergone a catastrophic decline over the past decade as digital cameras have swept aside the traditional process of taking photographs. Film has died: Kodacolor, Fujicolor, Tri-X, Kodachrome, Ektacolor – all evocative names for any photographer – are now gone or fading fast. Yet this magical material is a true product of both science: silver salts suspended in gelatin emulsion on celluloid base, and magical alchemy: it could capture light. Film became the defining material of 20th century creativity, and is ubiquitous to every great artist of photography and film making. While examining his past 30 years of work for the 2009 survey exhibition and book, Graham became enamoured with the material of his craft, and began to reflect upon the physical substance by which he, and all photographers, made their images. Besides scanning his images for the survey, he also scanned the blank film ends and unexposed frames from each body of work to gather an alternative survey, a 'negative retrospective' of his practice. What first appears to be abstract dots, blobs or colour forms, are in fact just greatly magnified images of the raw film emulsion– the color dyes clouds formed in the exposure and development of film. These images are not abstract at all, but extreme close-ups of the film's structure – the red, green and blue dyes that form film emulsion, which comprise each and every celluloid image in existence. Their beauteous complication, the wonder of their granular form, irrespective of what they describe, is given here for us to enjoy. Graham presents us a timely tribute to the passing of film. The grains, color dyes and black and white crystals, make images of beauty, simplicity and scientific record. Part wistful homage, part farewell, part visual wonder, Films is a book for anyone who engaged with photographic material in the 20th century.